You are required to have car insurance in Massachusetts in order to drive legally. You must apply for car insurance from one of the state’s approved auto insurers as well. Coverage from another state will not be valid in Massachusetts. As you are insurance shopping, keep in mind that there are a number of coverage requirements to be met. Collision, which covers your vehicle during accidents with other drivers. Comprehensive, which covers things unrelated to accidents, such as damages caused by theft. Compare car insurance quotes online. When you are buying a car, be sure to have already purchased car insurance or else you cannot get new registration. Look at rates for additional insurance, such as accident coverage, that covers gaps in an insurance policy. 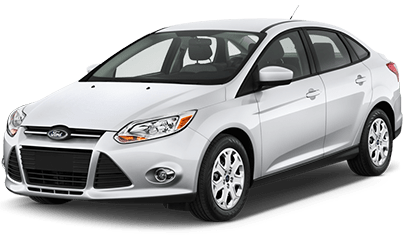 Online car insurance marketplaces will allow you to browse and compare the rates of multiple different policies so that you can see what kind of plan is best for you, and the best part is that you never have to leave the comfort of your home to find them. Unlike some other states, Massachusetts does not require you to show your car insurance card as proof of your coverage. Instead, you can simply show your vehicle registration certificate because it features your MA insurance for car information, hereby serving as proof of insurance and registration. It is important to keep in mind that you are not allowed to register your vehicle in the state of Massachusetts if you do not have MA car insurance. In fact, the MA RMV requires you to get the Insurance Certification section of your Application or Registration and Title (RMV-1) form completed, signed and stamped by your auto insurance agent. Once you have done so, you will be able to go to the local RMV office and get your vehicle registration. Just like standard drivers, CDL drivers must also have commercial car insurance for their vehicles. The good news is that the process for obtaining this CDL insurance in Massachusetts is similar to the process followed by standard drivers. Some auto insurance agencies will also ask you to provide a background check on the driver in question to make sure that they do not present a high risk to the CDL insurance company. What will be transported by the vehicle. The typical usage of the vehicle. Regarding who must pay the cost of premiums, the answer depends on the circumstance. For instance, the person that owns a for-hire vehicle is in charge of paying for MA CDL insurance. However, a business owner that owns a number of commercial vehicles for a commercial company is responsible for covering insurance. The responsibility is always in the hands of the vehicle’s owner.